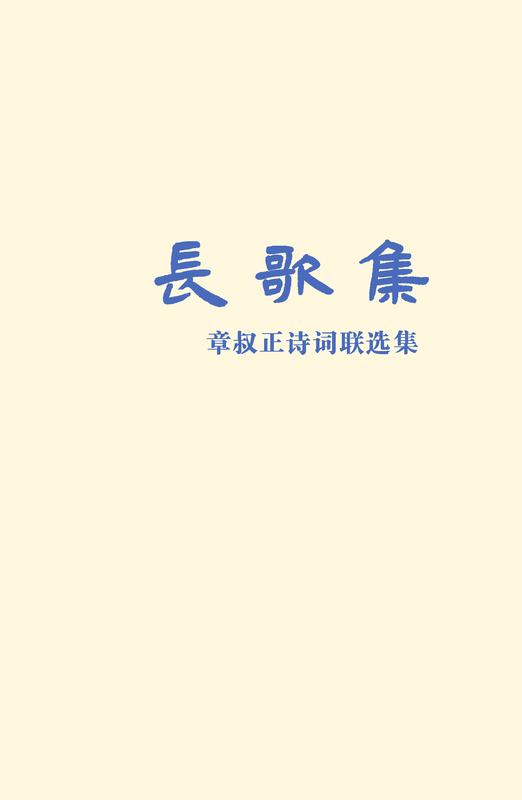 This is a collection of my father, Mr. Shuzheng Zhang’s, classical poems and couplets. He wrote hundreds of them during his lifetime (1928 – 2015), recording touching moments, beautiful sceneries, encounters of himself and people he knew, and his reflections upon them. The poetry, together with notes and annotations, reveal a vivid picture of an ordinary intellectual’s life in turbulent contemporary China. Between the lines, readers can see a fun person, a mindful observer, a free soul, and a man with deep feelings. The book is also a witness of history, of what has truly happened in Communist China, and how that has shaped ordinary people’s lives and fates. As the editor of this book, I wish more people could read it, getting to enjoy a talented poet’s works, and to learn more of contemporary China’s history as well.